Born in Wakayama prefecture (located in West-central Honshu,Japan) on June 1,1988, NAMI TAMAKI’s parents named her “Nami” wishing her daughter would “attain many fruits”(achieve great success) in her life. Dreaming of becoming an entertainer, Nami took dance lessons (1999-2000) which garnered industry notice for her excellent dance skills. At 13, a breakthrough happened for Nami when she auditioned for “Sony Music Audition”(2001-2002) where for example she sang songs such as Destiny Child’s “Survivor” by Destiny’s Child and which led her win the competition. Her amazingly top level-dance performance was highly praised and she expressed her desire to become an artist much like Janet Jackson. In April 2003, NAMI TAMAKI debuted with the single, “Believe.” which entered at #5 on the ORICON (Japanese Billboard) Single Chart. The single became the opening theme for the TV anime program “MOBILE SUIT GUNDAM SEED”, and its CD sales eventually surpassed 200,000 units in Japan. July 2003 found her 2nd single, “Realize,” ranking at #3 on the ORICON Single Chart on the 1st week of its release. In March 2004, NAMI TAMAKI won “New Artist of the Year” at the 18th Annual Japan Gold Disc Awards, and had her 1st Japan Tour (total of 7 shows) began in May of 2004. In between touring dates in Japan, Nami debuted in the United States at the Anaheim Convention Center in Southern California (“PACIFIC MEDIA EXPO”) and the McEnery Convention Center in Northern California (“FANIMECON 2004”). More success continued for Nami with her 6th single, “Reason” (released in November 2004 and the opening theme for “MOBILE SUIT GUNDAM SEED DESTINY”) became her best-selling single, peaking at #2 on ORICON Single Chart (and selling over 124,000 units). Having a close relationships with anime, comics and game industries, her 7th single, “Fortune” became a theme for the PlayStation2 game “RADIATA STORIES” (in January 2005). She also starred as a feature voice for herself, NAMI TAMAKI, who appears as a mysterious female singer. Nami has achieved more sales successes including her 2nd album, “MAKE PROGRESS,”(May 2005) and 3rd album, “SPECIALITY,” (July, 2006). 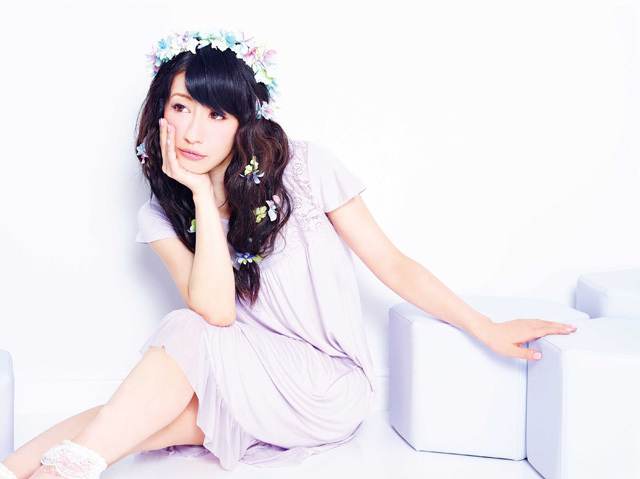 Her 11th single, “Result,”(May 2006) was aired as the closing theme for “MOBiLE SUIT GUNDAM SEED DESTINY – Special Edition”. She holds the record for an artist with most tie-in’s for “GUNDAM” (total of 4 themes songs). Additionally, Nami has expanded upon her professional successes into the worlds of musical theatre and film. In September 2006, she appeared in Bob Fosse’s famous Broadway musical, “SWEET CHARITY　(Japanese Version),” as the production’s central, Charity Hope Valentine. The following year, she starred in “Highschool Musical (Japanese Version)”as Gabriella Montez. And as well, in 2006 she starred in the film “LOVE★CON”(Lovely Complex)”, a live-action movie based on the same-titled Japanese romantic comedy comic. After the release of her 4th album, “DON’T STAY” (April 2008) and her 5th Anniversary concerts in Tokyo and Osaka, NAMI TAMAKI moved to Universal Music (Universal J) in 2009. Nami released 5th album, “STEPS,” in February of 2010. Her 20th single, “Missing You – Time To Love,” (featuring Kwangsoo, Jihyuk, Geonil (from SUPERNOVA) was released in January of 2011. In February of the same year, she released her 6th album, “READY” which included tracks produced by acclaimed international producers (U.K., Sweden, and Korea). Released the day following this album’s debut, her photo book and separate DVD both entitled “MONTHLY NEO: NAMI TAMAKI” (shot by fashion photographer, Takaki Kumada) became #1 on RAKUTEN Website’s Sales Chart (photo book) and ORICON DVD & Blu-ray Disc Chart (DVD Category: Idol/image). Most recently, Nami Tamaki successes have included her 1st Asia Tour (April 2011) reaching fans in Taiwan, Hong Kong, Seoul (Korea), and Guangzhou (China). In September, she participated in the music event (Shanghai JAPAN WEEK 2011) which held in Shanghai, China. In October, she appeared on the theatrical act Genghis Khan which was comprehensively produced by Ennosuke Ichikawa taken place to commemorate the 35th anniversary of the normalization of diplomatic relations between Japan andChina. And now, welcoming music producer Shinichi Osawa, she is releasing her very new single “LADY MIND” from TEICHIKU ENTERTAINMENT.